Got questions on getting an annulment? 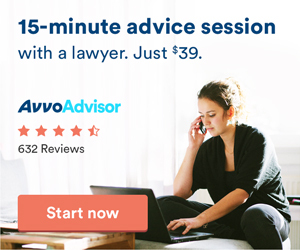 Ask a lawyer licensed in Louisiana! Get your Louisiana divorce done online! In some cases, couples can undo or unwind the null characteristics of the marriage. If a spouse was unable to provide legitimate consent during the ceremony, but today is able to give cognitive consent, the marriage can become a valid one. That would depend on the spouse that has grounds for an annulment. S/he could reject the horse once it is out of the barn, so to speak, and proceed with annulment, and could prevail. To process an annulment, one party must file the proper annulment petition, have their spouse served, and then attend a hearing before a judge. At the hearing, you must present evidence to support your claim that the marriage should be null and void. Your evidence must conform with one of more of the accepted grounds stated above. If the request for annulment is uncontested (your spouse chooses not to respond, or is in agreement with the annulment), the judge would likely grant the request.